Do you want have the Circus Marcus touch in your project? 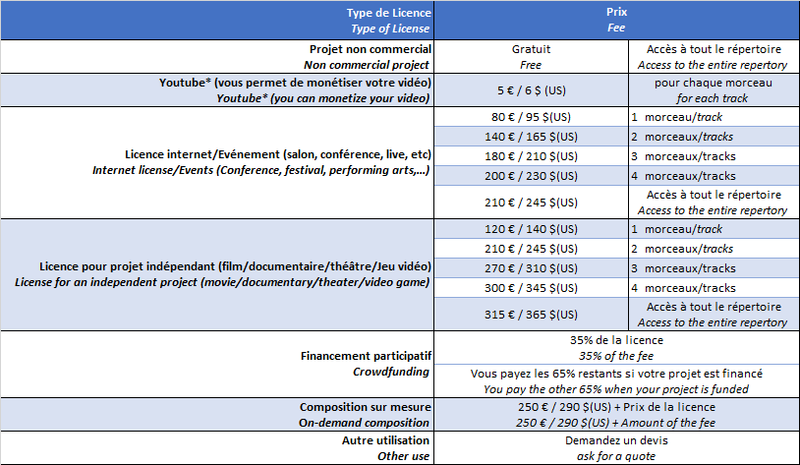 If you do respect the license Creative Commons clauses “by” (Attribution) and “nc” (Non Commercial), it’s free! Share your project with us, we are very curious ! And if you want to help us to develop the Circus Marcus project, you can make a donation. If your project have commercial issue, contact us. We will give you a quote depending of your need and your budget. * if you don’t want to monetize your video and if there’s no commercial purpose inside the video, contact me to remove the automatic claim sent by ONErpm. You will receive a non-exclusive and non-transferable commercial license agreement (valid in perpetuity). You will also receive, on demand, the .wav version of the track(s). Or, you have another alternative and get a license through Jamendo Pro. Depending of the use, maybe you will get a reduction in front of our prices.